COMING SOON… The Message Behind the Movie: REBOOT! Mind, Heart, and Soul is a Surprised by Truth for a new generation. 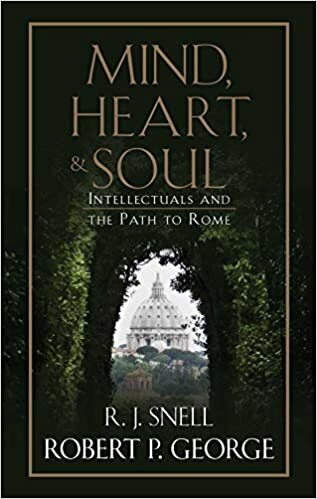 In a series of fascinating interviews, a cradle Catholic (Robert P. George) and an adult convert (R. J. Snell), offer the stories of sixteen converts, each a public intellectual or leading voice in their respective fields, and each making a significant contribution to the life of the Church. It will reinvigorate the faith of Catholics and answer questions or address hurdles those discerning entering the Church may have…by people have had the same questions and the same road. 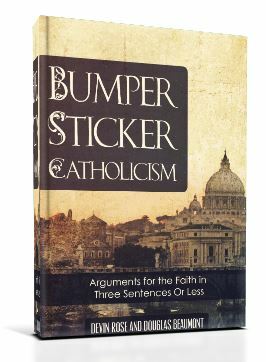 An e-book put together with my friend Devin Rose, Bumper Sticker Catholicism contains numerous condensed (3 sentences or less) arguments for the Catholic faith. Great as a “cheat sheet” or memory refresher when speaking with Protestant friends. My article “Does God Care About My Entertainment Choices?” explores making godly entertainment choices. In my Evangelical days, I was a regular contributor to Got Questions? – a popular website that answers questions (anonymously) from an evangelical perspective. The articles in this volume, are compiled from those questions. Mine include “Is the Deity of Christ Biblical,” “Did Jesus exist,” and others. In a book with contributions from Pope Benedict XVI, Peggy Noonan, Robert Ellsberg, Thomas Lynch, John Allen, and twenty-two others, my chapter (The Existence of Chuck Norris) is a Thomistic take on Chuck Norris jokes. I wrote the Foreword & Appendix (“How We Know the Bible is God’s Word”) to this look at the spiritual principles found in 12-Step recovery programs. I argue that the Thomist position actually meets Flint’s requirements for an acceptable notion of freedom, and that as such, Aquinas’s view is safeguarded from Flint’s specific criticisms. I will then turn to a brief consideration of how Aquinas’s view affects his understanding of the problem of evil. Is it really true that a “consistent, literal hermeneutic” will land one in a particular view of eschatology? This popular claim is challenged in this issue of the Christian Apologetics Journal.